The Baxter family is getting their first taste of authentic street food in Mexico. In this episode, Michael, Julie and Dani stop at un puesto de tacos (taco stand) and have a conversation with la cocinera (the cook) about the menu. 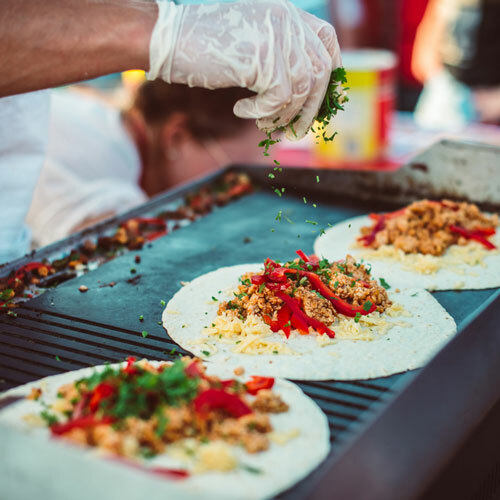 After the dialogue, we talk about the culture of street food in Mexico, plus Paulina gives us some advice on what street food is safe for tourists to consume and what should be avoided. As part of our special promotion, all of the bonus study materials for this episode are available for FREE. Download an MP3 bonus podcast featuring extended grammar and vocabulary lessons. Get the full transcripts of the Spanish conversation in each episode. Listen to the iTunes version here. Join the Baxters as they enjoy their first street food experience in Mexico..